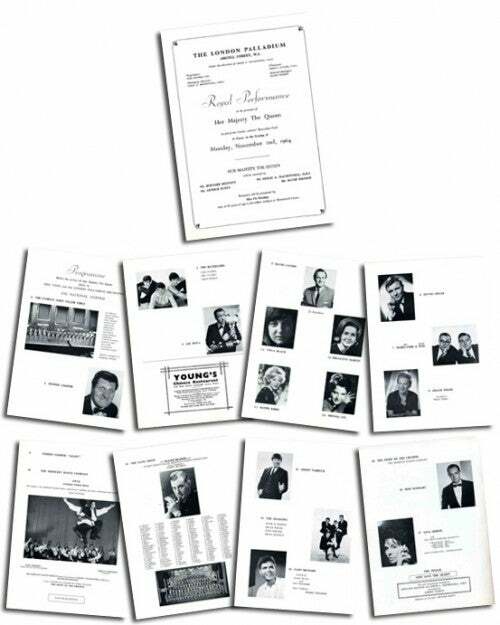 There were no Beatles this year for the Royal Variety Performance at the Palladium - but there was another young star from Liverpool, Jimmy Tarbuck, whose wit and humour captivated the audience, many if not all of whom were seeing him for the first time. "The greatest most wonderful day of my life," he said. Another much loved star, Cilla Black, was also making her Royal Variety debut and admitted she was very nervous at the prospect. "I keep dreaming that just before I bow to the Royal Box I fall flat on my face before all those famous people!" 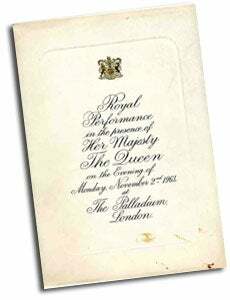 She needn't have worried - she and the rest of the show before the Queen were a big success. Humour came from Morecambe and Wise and the irrepressible Tommy Cooper, with song from Gracie Fields, dance from Moiseyev Dance Company and juggling from Gil Dova. The Americans were represented by comic Bob Newhart, well known here for his radio recordings, and singer Lena Home. 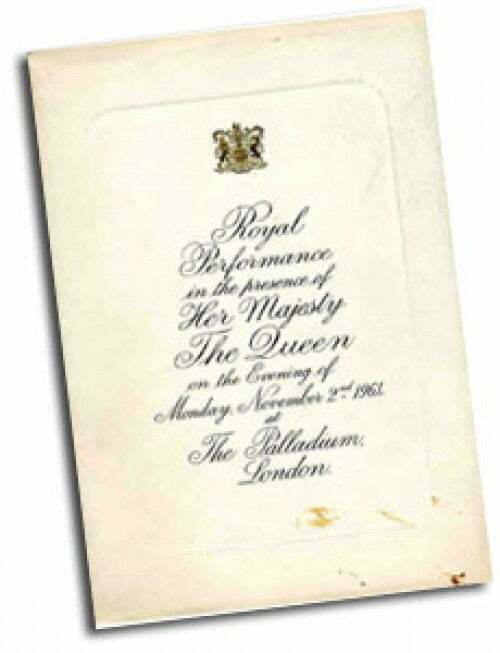 A moving moment came when The Bachelors addressed a line of one of their songs "I Wouldn't Trade You For The World" to the Queen to spontaneous applause from the audience. Bob Newhart became another artiste to experience the anxiety of international travel delays on his way to the Royal Variety Show. His plane had to be diverted to West Germany for some reason and he arrived at the Palladium in the middle of the run-through. Luckily his act involved no music, so he was freed of that anxiety, but it can't have given him the ideal lead into the evening's performance. There were rum goings-on with the Tiller Girls' black velvet and sequin leotards, which went missing, eventually to be found in the gents' cloakroom! An embarrassed worker at the Palladium dismissed the event a smidgin too defensively. "We don't really think there was anything sinister about the incident. It was probably some sort of misunderstanding." Head Tiller Girl Fay Robinson was not convinced. "Thank goodness it didn't happen on the night; it was unnerving enough as it was." It was a great loss to the variety theatre when Dennis Spicer, a gifted ventriloquist, was killed in a motor accident just days after his success at this year's performance. One of Robert Nesbitt's innovations as Executive Producer of this year's show was to introduce the four popular female recording stars on the bill; Cilla Black, Millicent Martin, Kathy Kirby and Brenda Lee, in a novel way. Each was brought round on a turn of the revolving stage seated in a gleaming sports car - capturing the whole spirit of the Swinging Sixties in one deceptively simple, but perfectly judged piece of stagecraft.